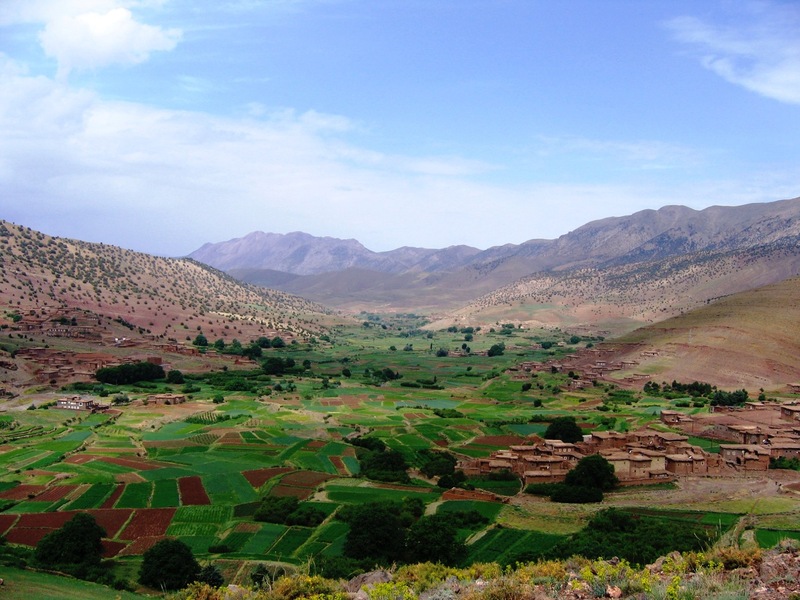 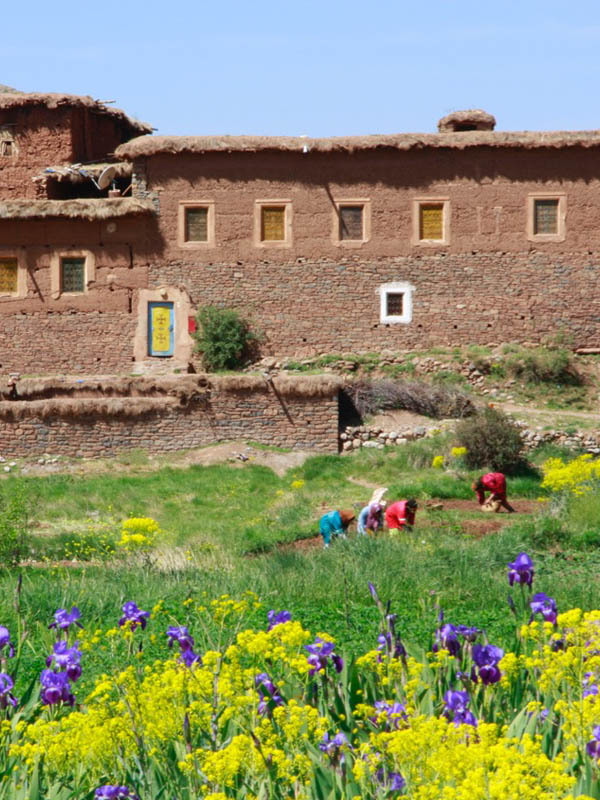 The High Atlas valley of Aït Bougmez remains one of Morocco’s best-kept secrets. 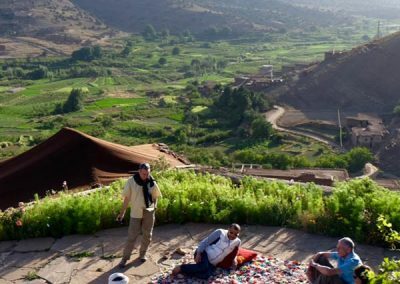 Vehicle access came just few years ago, by way of an awe-inspiring road that snakes up and over a high pass before dropping down to the fertile valley floor. 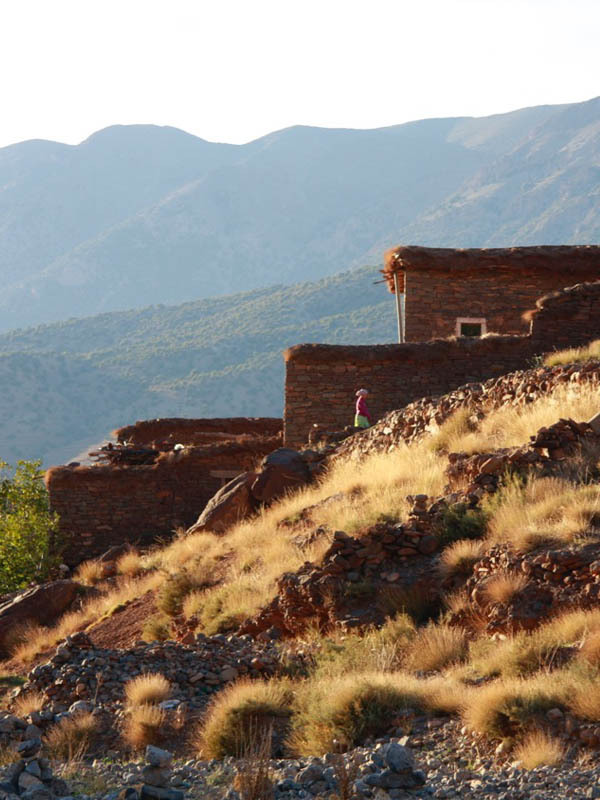 The valley still has the feel of a hidden Shangri-la; of a remote mountain kingdom that time passed by. 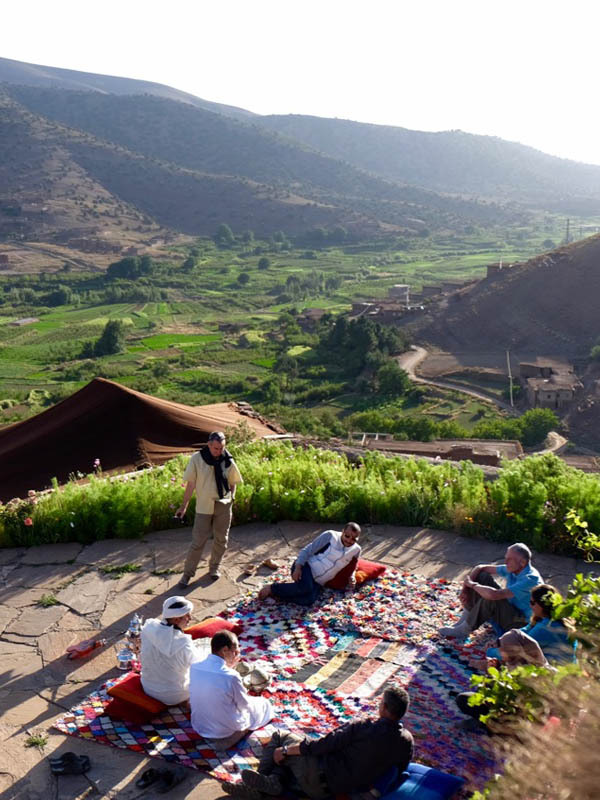 Dar Itrane (which means House of the Stars) clings to a rocky bluff at the eastern end of the valley in the charming village of Imelghas, looking out across a patchwork of neatly tended fields to the snow-capped peaks beyond. 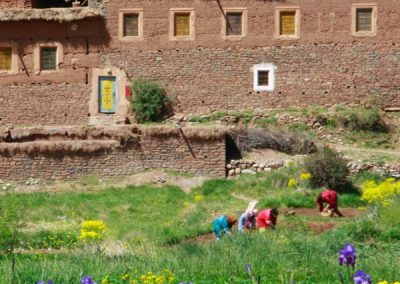 This pisé-built inn, with 17 simple, homespun rooms, is an ideal trekking base and offers a unique insight into local Berber culture. 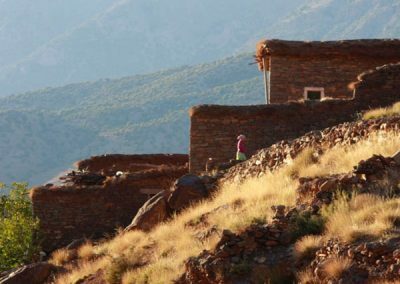 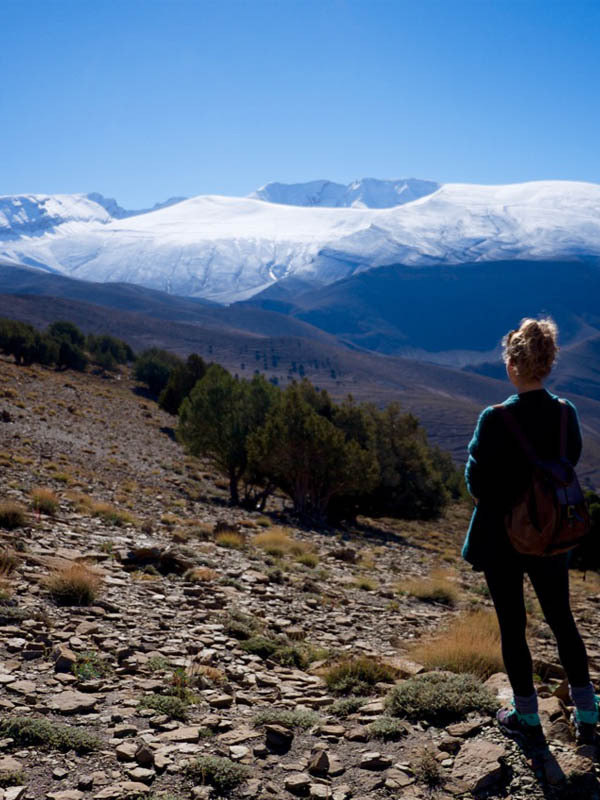 What’s more, its French owners have a genuine commitment to the natural, human and cultural environment of this uniquely beautiful corner of the High Atlas, so by staying here, you’re helping to preserve the village and landscape.